Massive power outages occur with alarming regularity, and they usually occur at the worst possible times. 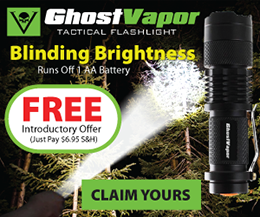 Surprisingly, many of them are caused by either human error as opposed to weather or equipment failures. However, an increasing amount of power outages are occurring as a result of cyber-terrorism as well. Let’s take a look at some of the more interesting blackouts in history, and see why it is so important to be prepared. Human error as well as overloading caused the largest power blackout in world history to occur in the middle of the summer. The outage affected more than 670 million people and lasted for two days. One of the most gruesome by-products of this blackout was that crematoriums across the country ceased to function, and the result was half-burned bodies were left to rot until power was restored. The outage also interrupted water supplies and paralyzed transportation networks that stranded millions of people. A lightning bolt struck a sub-station that created a domino effect that cut power to half of the country for a day. Over 60,000 commuters were trapped in subways, soldiers needed to be deployed across the country to prevent violence and looting, and entire cities went offline for up to 24 hours. The electrical system was also in the process of being privatized at the time, and the ensuing confusion contributed to the magnitude of the outage and prolonged the amount of time it took to get power restored. A tree branch fell on a transmission line in Ohio that triggered an alarm that was ignored by technicians at a monitoring station. 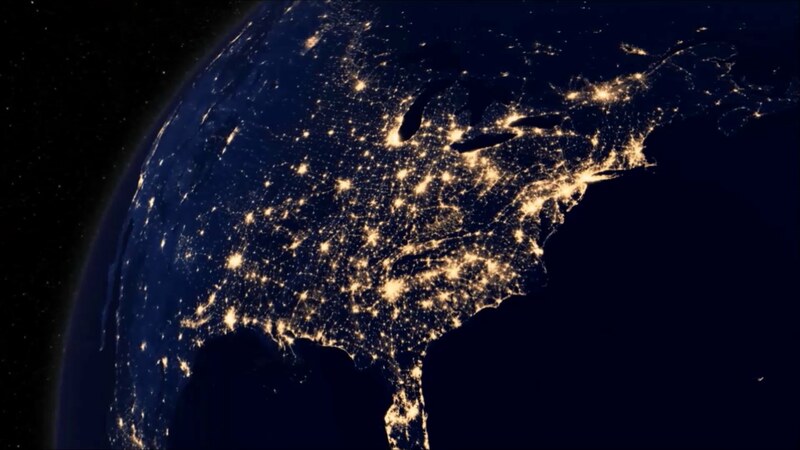 This led to a cascading effect that cut off power to more than 50 million people in the Northeast United States and Southern Ontario between August 14-15th. While the bulk of power was restored within two days, many people went almost a week without electricity. Compounding the problem was that it took months to find the cause and come up with a solution to prevent future occurrences. It is thought that the outage cost over six billion dollars, claimed 11 lives and made getting access to food, water and transportation next to impossible. A massive solar flare pummeled the Earth and fried Quebec’s electrical grid. While there was advance warning of the impending crisis, managers were ill equipped to do much to prevent damage at the time. Nearly the entire province was plunged into darkness for up to 24 hours, government services as well as transportation networks ground to a halt, and radio and television stations went off the air. To this day, North American power companies are not fully prepared to deal with another massive solar flare. 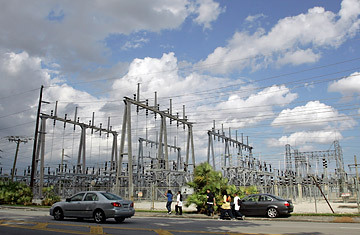 A massive rolling blackout started after an equipment failure and fire occurred at a power station west of Miami. It occurred just after lunch and spread throughout the state, although residents of Miami-Dade and Broward counties were the hardest hit. People were trapped in high rise buildings, failures of traffic signals created one of the worst traffic jams in history and hospitals were stressed as backup generators began to run out of fuel. Fortunately, most power was restored after the evening rush hour. It is thought that if power remained out overnight, looting and violence could have claimed hundreds of lives and caused billions of dollars in damage. 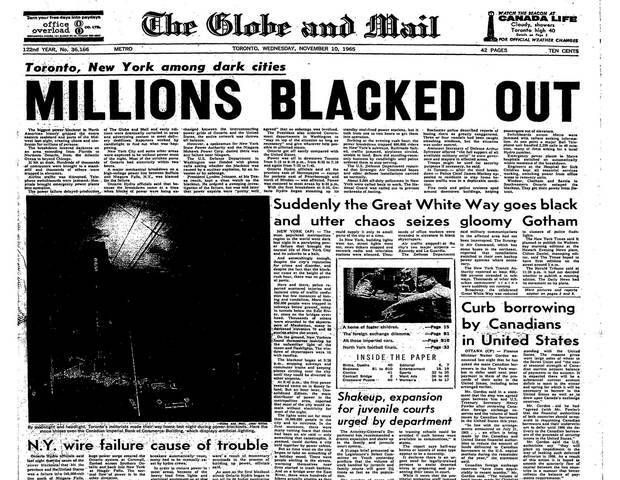 A transmission line near Ontario, Canada caused one of largest blackouts in US history that thrust New York and nearby states into darkness in the middle of the evening rush hour. The blackout trapped more than 800,000 subway commuters in New York City alone, and tens of thousands more were trapped in high rise buildings. The blackout led to massive looting and property damage, and a surge in crime swept through the entire region. Police and national guard troops were deployed in major cities, but many officials concede that the response was too little, too late. It took more than a week for life to return to normal. Hackers are also thought to be responsible for a series of blackouts in Brazil in the mid to late 2000s, and parts of the Ukraine have also been hit by attacks in recent years. Hacking is thought to be the primary threat against the United States power grid today, and officials are still ill-prepared to address this concern. Power can go out at anytime, and the effects of a major blackout can be felt for weeks after service is restored. 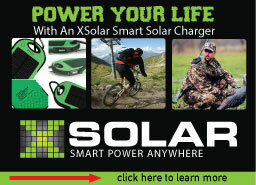 Prepare now so that you will be ready to weather the effects of a prolonged power outage. It is essential that you have at least a three day supply of food, water and medical supplies on hand in addition to a means to protect your family and property from looting. Never take power for granted. Nature, human error as well as an attack can plunge us into the stone age without warning. This is exacerbated by the fact that our government still has a long way to go in terms of reinforcing our electrical grid in order to prevent blackouts in the future.